It has a lot of really interesting material; I just finished a long piece that was a tribute to Dr. Timothy Leary, written shortly after Leary's death. Circa 70 AD a nut cult, based on garbled legends about the Rabbi Yeshua ben Josef (now called Iesus Xrist in Greek) swept across the Roman Empire. It was founded on the idea that the world was coming to an end in that very generation. ("And there shall be Signs in the Sun and Moon, and in the stars ... This generation shall not pass until all be fulfilled." Luke 21:25, 34.) The Roman politicians tried to abolish this nut cult, then gave up and took it in, doing to it what politicians do to everything they get their hands on. It became the partner of the Empire and gave up all Doomsday raving to build itself great treasures on Earth. It was now called the Catholic Church. The same piece has a nice passage about how the death of Socrates was "the first dramatized Zen koan: Why would a man so skeptical be willing to die for an abstract principal like Freedom of Speech?" Way back in the last century (when I was born) I seem to remember Scott Apel indicating he was considering doing to do a book on the tv series The Prisoner. Would it be possible to ask him if he ever completed this or did articles on that topic? 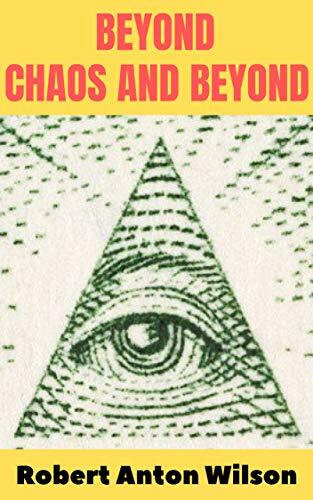 As soon as Chaos et al is out in print for I will purchase a copy.